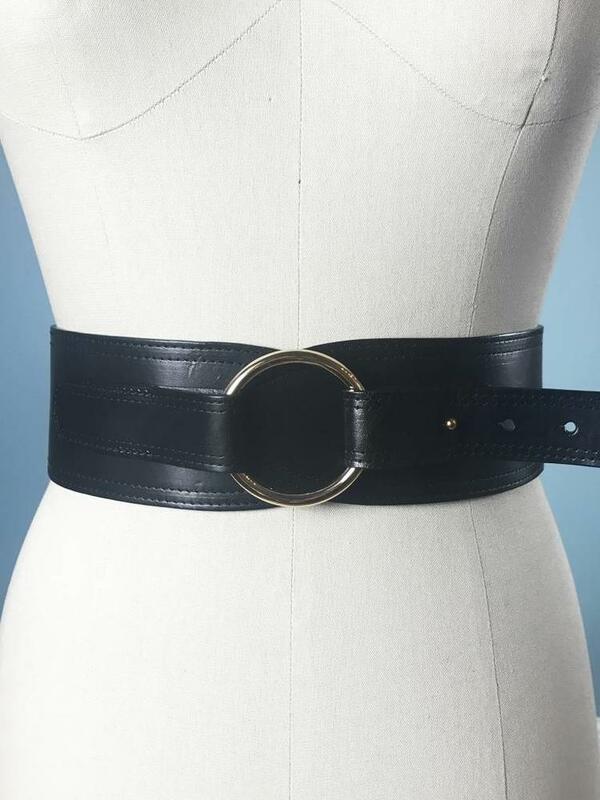 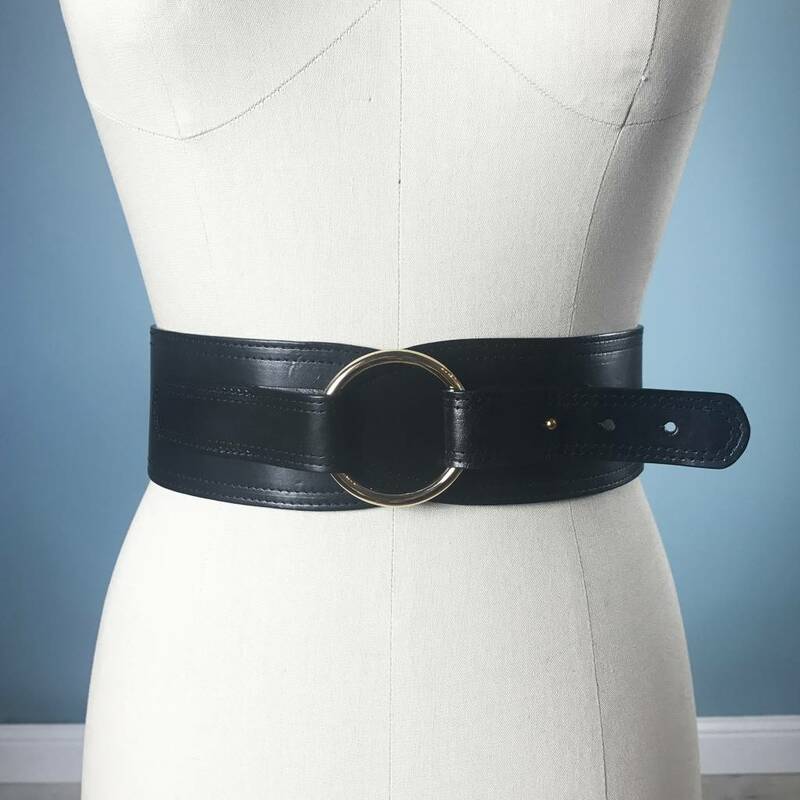 Leather belt with elastic back for an easy fit! 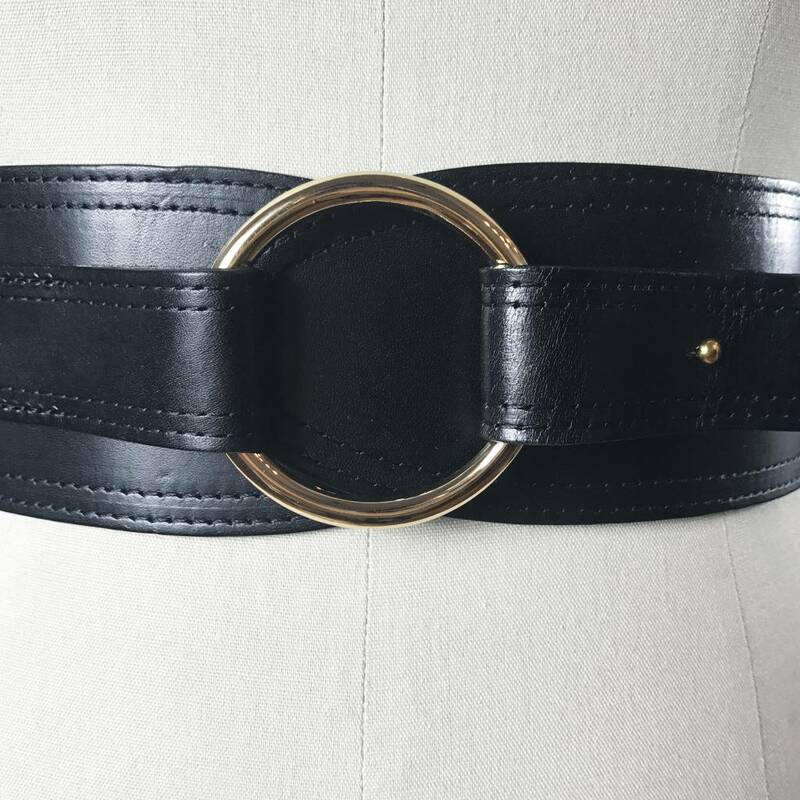 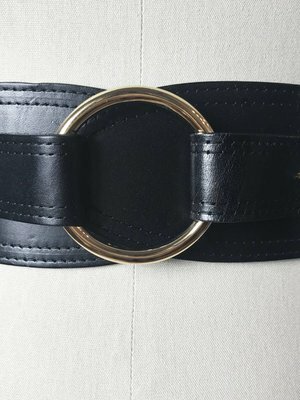 This belt has a unique ring loop closure for a little statement. 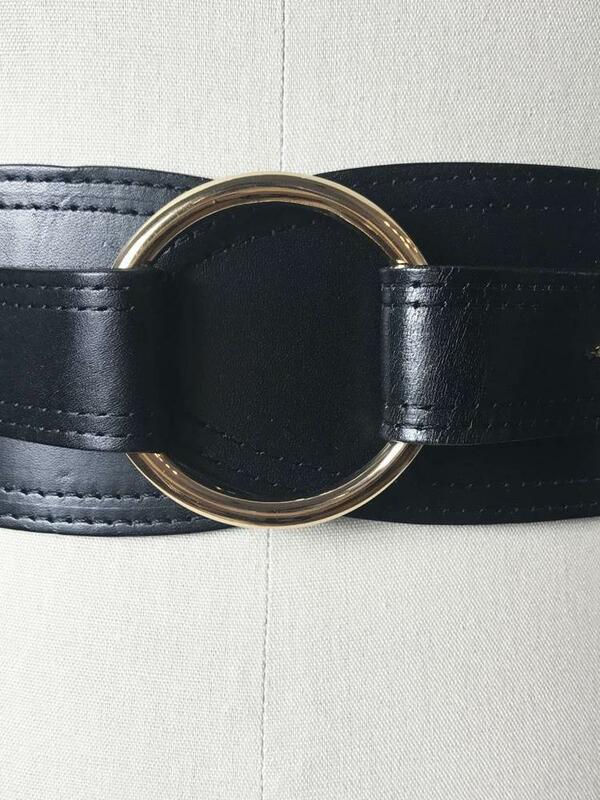 Perfect finisher!